Steam away even the most stubborn of creases with the simple, hassle-free Kogan 3-in-1 Handheld Garment Steamer. Perfect for clothes, sofas, curtains and more! Heats up in 60 seconds! With the Kogan 3-in-1 900W Handheld Garment Steamer, you’ll have endless versatility and flexibility at your fingertips. 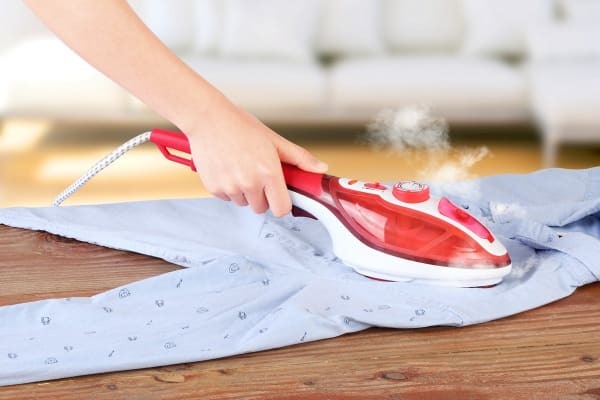 Boasting vertical and horizontal steaming functions, you’ll effortlessly achieve wrinkle-free clothes without an ironing board with the vertical setting and smooth, fresh clothes by steaming horizontally on any surface around you. The ceramic coated soleplate is offers increased uniformity of temperature to protect clothes. Additionally, the burst stream function is designed to deliver a continuous propelled steam jet to iron clothes and remove wrinkles faster. What’s more, regardless of which way you choose to use your garment steamer, you’ll always have a powerful, continuous stream, even in the horizontal position, making it ideal for your furniture, bed linen and more! 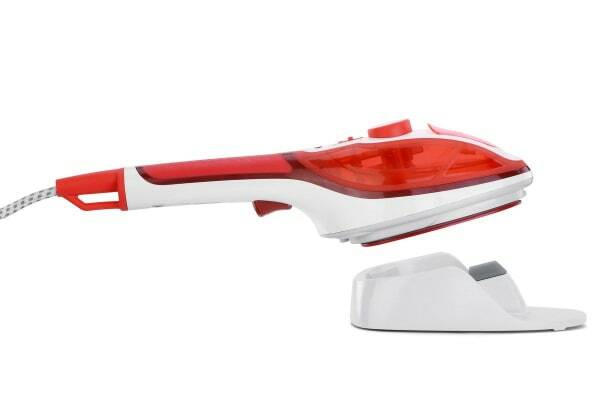 This handheld steamer is light and comfortable to use thanks to its compact design, and with three detachable accessories to choose from, you’ll always get the finish you need. Use the brush accessory with thicker garments, like winter coats, for better steam penetration and a smoother finish, while the lint brush is ideal for those materials that gather static, such as sofas, curtains and blankets. For the sharpest edge, the creaser accessory is matchless. 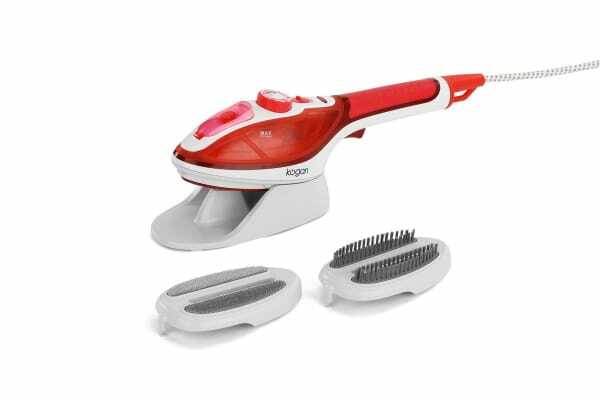 Don’t stress about hauling your clunky ironing board from the linen cupboard, the Kogan 3-in-1 900W Handheld Garment Steamer doesn’t need one! Heating up in just 60 seconds, this versatile steamer allows you to simply fill with water, attach the appropriate accessory, set the desired temperature and steam away! More than this, the steamer is safe to use on all fabrics, making it a great solution for even the most delicate of fabrics, such as silk, and the steam effortlessly eliminates bacteria and unseemly odours from your clothes, including cigarette and food odours.